H2Oil, the critically acclaimed documentary about the Athabasca tar sands, is finally making its way west of the Rockies. The film, written and directed by Shannon Walsh, premiered at the Hot Docs festival in Toronto last spring. 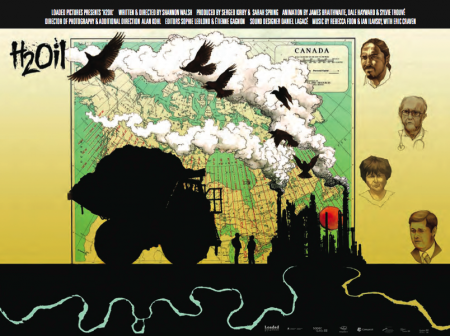 Walsh, who has been described as "uncompromisingly critical of the big oil companies" will visit Vancouver when the film screens at the Vancouver International Film Festival on October 11 and 12. Working together with organizers and activists, Walsh and her team have set up panel events after the screenings, bringing in affected community members to talk about their own experiences confronting the largest industrial project on earth. In Vancouver, there will be an evening panel on September 12.